Helm Engineering is one of South Africa’s largest manufacturers of Industrial Rainwater goods. 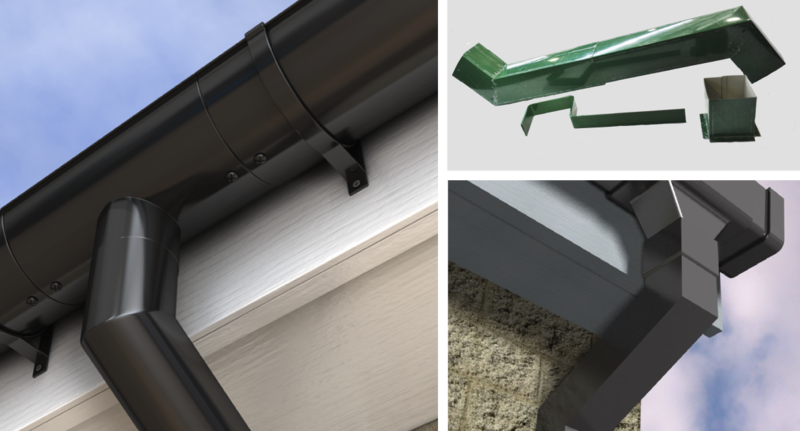 An extensive range of standard gutters, downpipes and accessories are manufactured. Helm also manufactures custom made gutters and downpipes, designed and manufactured to suit your specific project needs. Rainwater Goods can be manufactured from Hot Rolled, Galvanised, Zincalume, Zincal, Aluminium, Stainless steel or Pre-painted material. An embossed finish is also available on request.